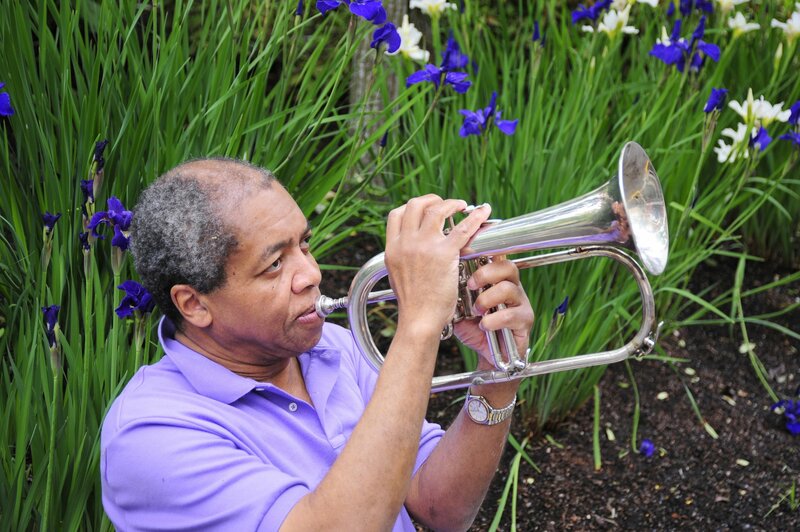 Looking For The Best Trombone Mouthpiece for Jazz? Here’s a look at our favorites, including our top pick the – Bach K3506HAL Megatone Small Shank Trombone Mouthpiece. 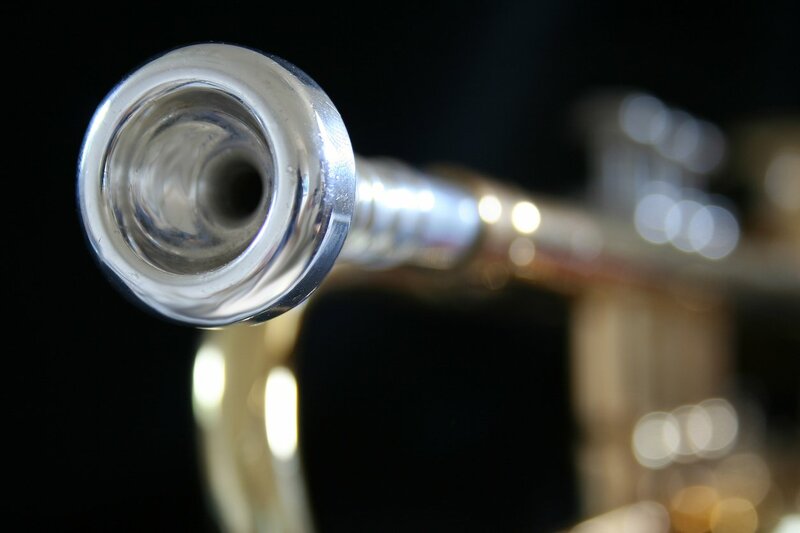 With brass instruments such as the trombone, the style of mouthpiece you use can have a big impact on your tone, projection, and playing comfort. There are many variations of mouthpieces, and there’s no right answer for everyone—the best mouthpiece for you will be based on your lips, your mouth strength, your airflow, and the style of music you play. You’ll know your mouthpiece is a good fit when it’s comfortable to play, helps you develop better technique, and your tone is firm and compact with great projection. When it comes to jazz music, a musician usually wants to create an individual, distinctive sound (as opposed to trying to blend in with an orchestra). 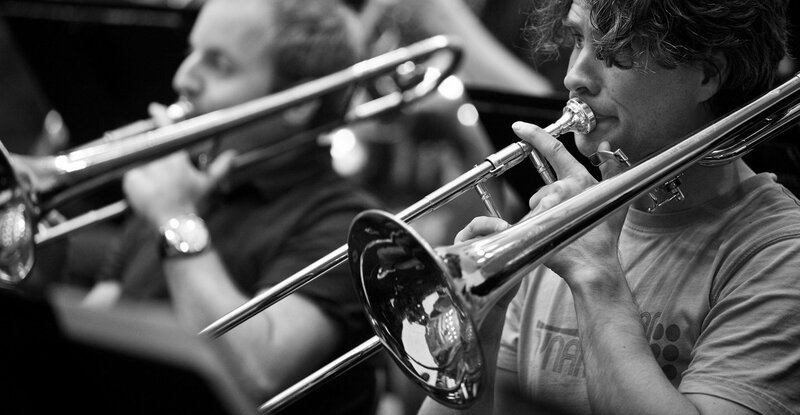 Trombone players in this genre tend to prefer mouthpieces with large, shallow cups that brighten the instrument’s tone and allows the musician to utilize the full range of the trombone. But, again, what works for some players doesn’t work for others, and it all boils down to your personal preferences. Rim – a rim with a flat contour allows you to apply even lip pressure across the surface, resulting in a more comfortable fit with a good air seal. It also tends to limit flexibility, however, which can be frustrating for jazz players. 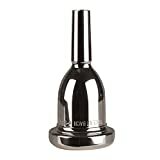 In contrast, mouthpieces with a rounded rim offer significantly more flexibility by allowing the musician’s lips to move back and forth in the cup, resulting in a greater variety of tones and effects. The downside is that this requires greater lip pressure, and beginning musicians who haven’t fully developed their lip muscles may struggle with their embouchure and air volume. For optimal results, it’s usually best for beginners to start with a mouthpiece that has a medium-wide rim with a semi-rounded contour and a slightly sharp inside edge. Cup – mouthpieces with larger and deeper cups tend to produce a darker tone and greater volume. However, they can be tiring as they require a lot of control. 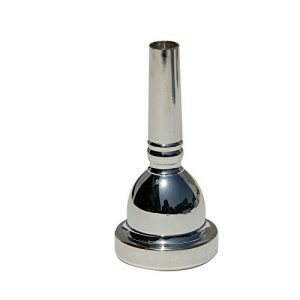 On the other side of the spectrum, mouthpieces with a smaller and shallower cup will result in a brighter tone, improved control and response, and slightly easier play. Just be careful not to go too shallow, as it can ultimately curb tone and volume. To find your sweet spot, start with a cup with the greatest diameter that you can play comfortably. 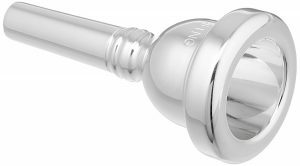 Throat – this part of the mouthpiece doesn’t usually have too much variation, but like the cup and rim it can have a significant impact. Throats that are too small will choke your tone and produce an uncomfortable back pressure, while larger throats will require more air pressure. 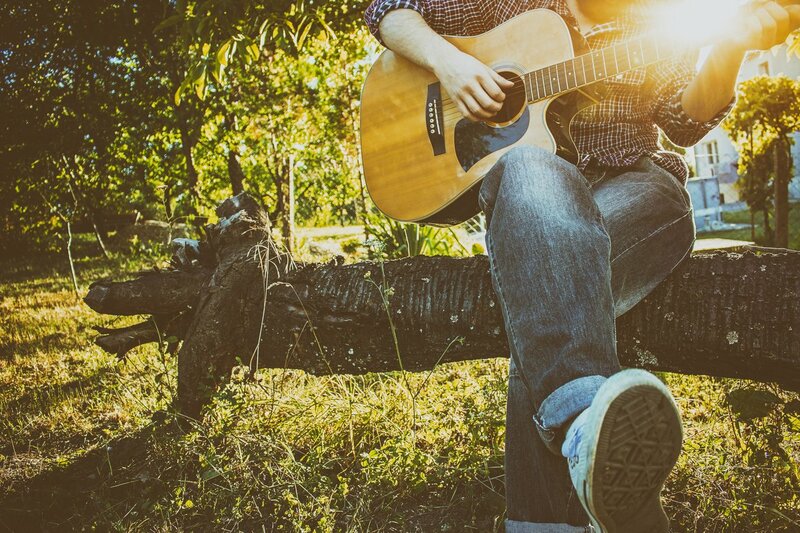 If you have the choice, lean towards a larger throat that will let you blow harder and produce more volume, but be careful it doesn’t negatively impact your ability to play softer passages. Backbore – like the other parts of a mouthpiece, the backbore can impact tone, volume, projection, and pitch. The size of the backbore will correspond with the size of the cup and rim, so it’s a safe bet to go with a medium-size mouthpiece for generally good performance. 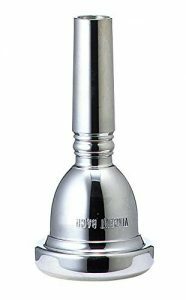 Bach has been in the music business for over a century, and it all started with brass mouthpieces, so you can definitely trust the Bach K3506HAL. Of the five mouthpieces on this list, this one is the cream of the crop. It’s a silver-plated 6.5 AL, with a medium-wide, well-rounded rim, a 25.40 mm cup, and a small shank. If you’re looking for top-notch quality that’ll last, this is the one for you. 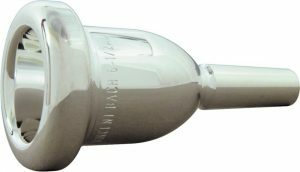 The Bach Large Shank Mouthpiece is another top-quality option from Bach, and it’s a bit more of a bargain than the K3506HAL. It’s also a large shank mouthpiece, so it is intended for symphony tenors. 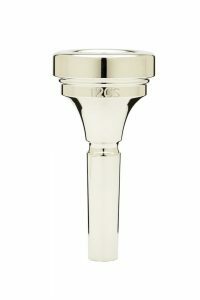 It’s a 5G silver-plated mouthpiece with a deep 25.50 mm cup, and a medium-wide, semi-flat rim. Denis Wick is another great brand that’s known for quality. Denis Wick develops trombone mouthpieces for maximum clarity, warmth, and beauty of sound—something that few manufacturers have been able to do. 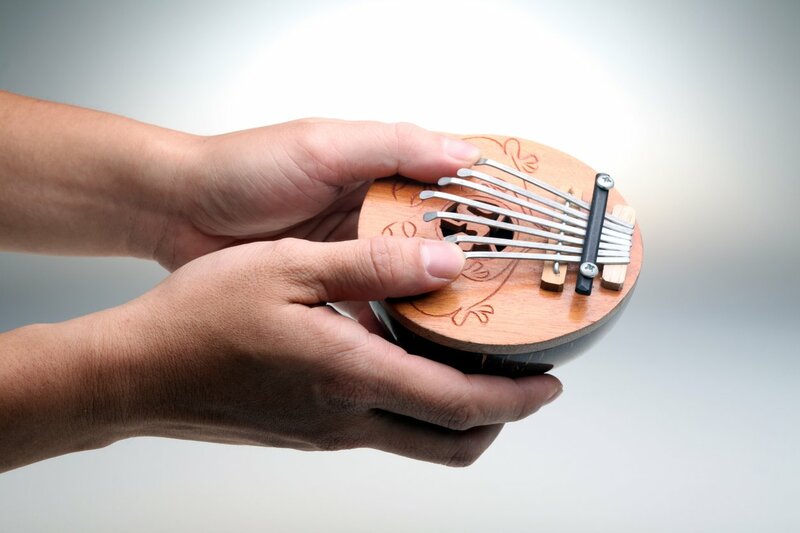 The quality comes from attention to detail and dedication to the craft, and the result is extraordinary intonation and flexibility. This particular model has a specially balanced throat, backbore, and cup, that makes it ideal for jazz players. It’s intended for medium-bore trombones. Blessing may not have the prestige of Bach and Denis Wick mouthpieces, but they’re still a dependable household name for brass players, and the blessing MPC65ALTRB mouthpiece is no exception. The designs for their mouthpieces are developed with input from professional players Buff Dillard, Robert Dorer, and Dominick Farinacci, and the mouthpieces are manufactured by Terry Warburton in Florida and by Lausmann in Germany. This particular mouthpiece is a small shank #6 1/2AL. 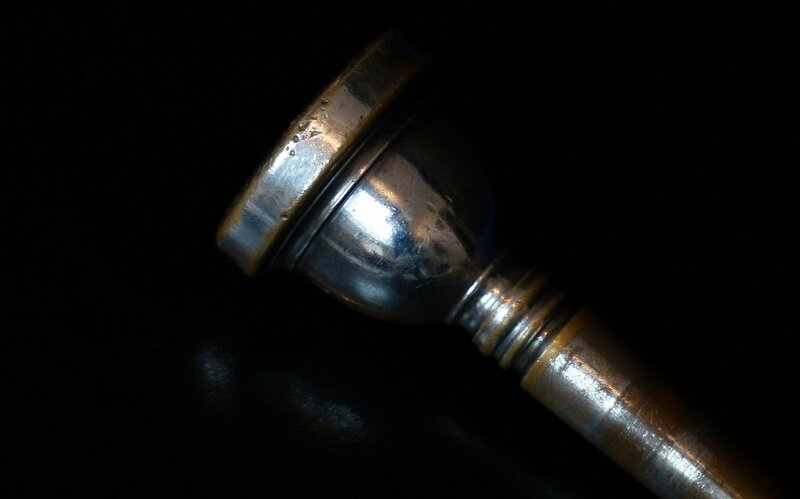 The Glory Professional Silver-Plated 12C Trombone Mouthpiece is definitely the best value on this list. If you’re just learning the instrument and still getting your feet wet, this is a good option to start with as you begin to get a feel for the trombone and jazz music. This mouthpiece is manufactured with a computer-aided design system and a computer controlled lathe that work together to ensure precision and quality. After all is said and done, researching brass mouthpieces on the internet will only go so far. The best way to find the ideal mouthpiece for you is to pick one, try it out for a while, and then purchase another one in a different size/style to compare them. All of the mouthpieces in this article are quality, dependable options to get you started. So, pick your favorite, grab your trombone, and get ready to jazz it up!